Exclusive: Adam Driver is the newest cast member of Martin Scorsese’s “Silence.” He’s joining Andrew Garfield and Ken Watanabe in the Japanese thriller set in the 17th century. Scorsese told me last night at HBO’s annual star-a-thon post- Globes party that shooting will commence next summer. First, of course, Scorsese has to finish up a winter of Oscar promotion for ‘The Wolf of Wall Street,” which has turned into a gigantic hit at the box office. Driver, of course, is the breakout star of HBO’s “Girls,” which had its season premiere last night. He will also be a big deal later this year in “Tracks,” with Mia Wasikowska, The John Curran-directed romance/ adventure is — I know this is early, but true– on tracks for the 2015 Oscars. It’s a wonderful film. Scorsese and his “Wolf” crew, including Jonah Hill, were graciously invited in by HBO, which also had actors and directors from other studios who weren’t giving big parties. Mad Men star Elisabeth Moss came with her Golden Globe– the first actual award she’s received for her trenchant portrayal of Peggy on the hit show. Many of the “Girls” stars were in attendance including Zosia Mamet with boyfriend actor Evan Jongkeit, Allison Williams, and Jemma Kirke. Meanwhile, Tom Hanks and Rita Wilson were there, but split up to work the room. Tom spent a lot of time with our favorite Hollywood grande dame, Barbara Davis, and insisted I take their picture. Rita chatted with Judd Apatow, who told me he’s getting ready to direct “Train Wreck”– sadly his wife, one of my favorite actresses, Leslie Mann, will not be in it. We did talk about how well “This is 40” is doing playing on HBO. It’s been an enormous hit. The best table: Helen Mirren, husband Taylor Hackford, CAA agent Fred Specktor, publicist Stan Rosenfield, and super woman Peggy Siegal. Dame Helen comes to Broadway, they confirmed, in spring 2015 with her West End hit, “The Audience,” in which she once again plays Queen Elizabeth. Elsewhere at the HBO shindig, I ran into four star actress Tony winner and Oscar nominee Janet McTeer. She rarely ventures to L.A. but is in town for a few days for meetings. For my money, McTeer might be the only actress in her age group equal to Cate Blanchett. On Broadway she peels the paint right off the walls. In movies. 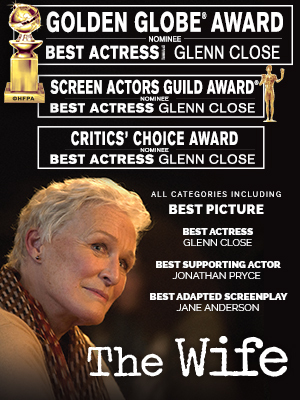 she’s been a dynamic presence in “Albert Nobbs” and “Tumbleweeds.” An Oscar win is in her future!